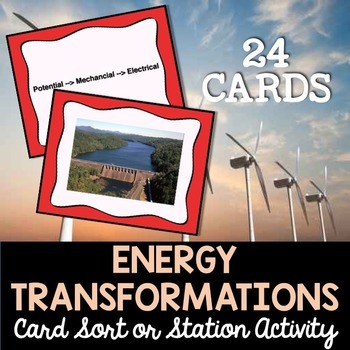 Energy Transformations - The energy transformations card matching activity can be used by individuals or in a group/lab station setting. Each of these beautifully designed cards feature a high-quality image on one card and the energy transformation on the others. I use this activity as a station in one of the labs that I we perform and have also used it with remediation and STARR test review. The students enjoy working with this manipulative. Blog -Kesler Science Lessons Blog for more great activities and freebies.